In addition to the vSphere Web Client, a great way to further explore VSAN in greater depth is by leveraging RVC and the new VSAN namespace on the command-line. If you have not played with the new the VSAN commands in RVC, Florian Grehl has written a fantastic series that is worth checking out here. 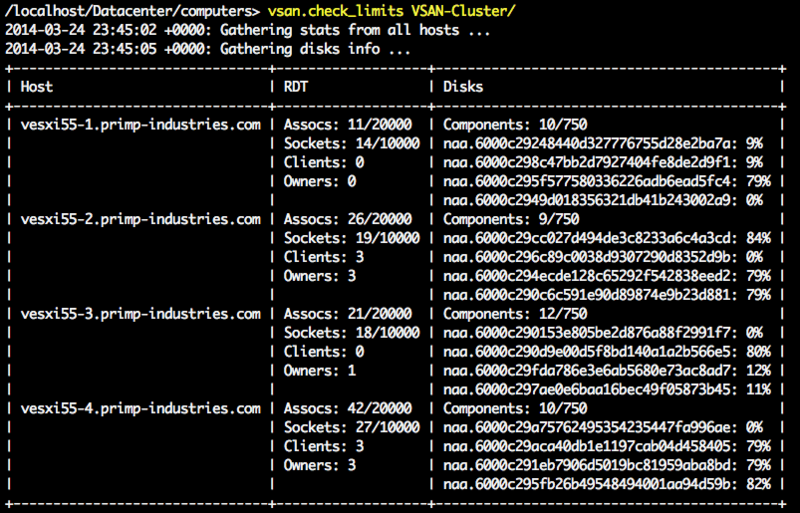 While exploring the VSAN commands myself, one command that particularly stood out to me was the vsan.check_limits. 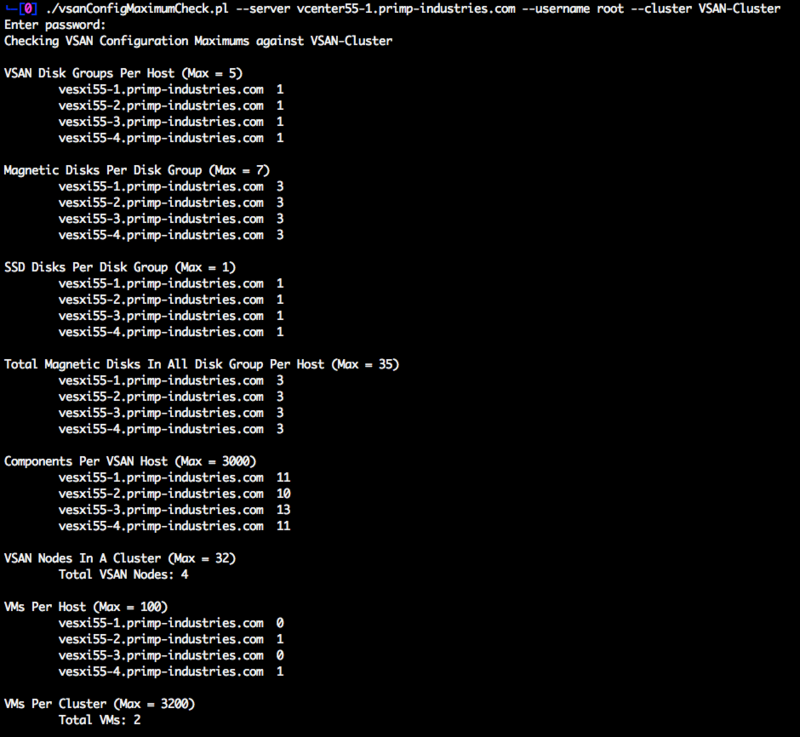 The command provides a quick summary of the internal VSAN limits based on your current VSAN Cluster and configuration. This actually got me thinking about the vSphere Configuration Maximums for VSAN and how manual of a process it is today to validate that you are currently running within the supported maximums not only for VSAN but for other areas as well. I thought it would be useful have a script that you could periodically validate the current VSAN configuration maximums against an existing VSAN Cluster. 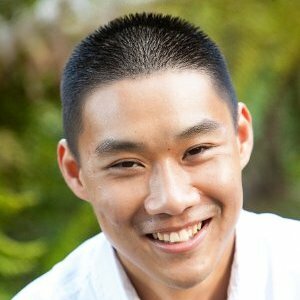 Creating this script was also a nice way for me to take what I have learned about the VSAN APIs over these last couple of weeks in my Exploring VSAN APIs series and build something that could be useful. I personally think this information would be really useful to include in the vsan.check_limits RVC command but I also think it would be useful to have outside of RVC for any type of external reporting which can also leverage the vSphere API. hi currently i cannot find VMware/VIRuntime.pm. sorry if my question is to basic.